REDUCED PRICE! 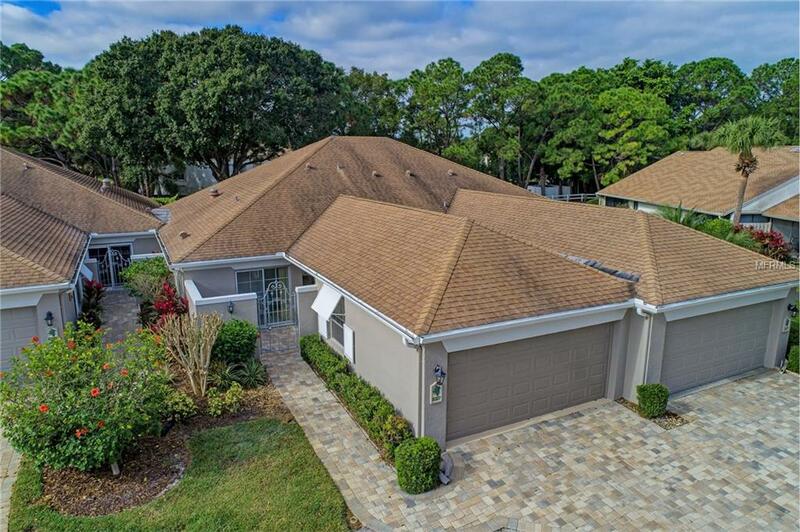 VILLA 2 CAR GARAGE, Adorable, Peaceful, Move in Ready FURNISHED in the heart of The Meadows Country Club surrounded by beautiful mature trees and amenities with a resort style feel. 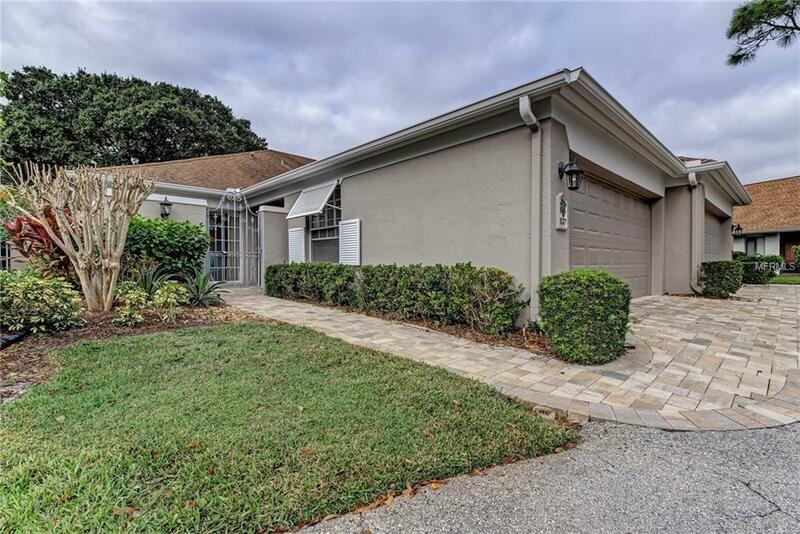 This villa has been freshly painted with "cream" color walls, white trim and baseboards, white doors, newly textured and painted white ceilings, clean rugs, and newer white tile floors. Master with dual sink, shower, large walk-in closet. Nice eat-in kitchen, skylight in living room, large lanai with A/C and glass sliding doors offer an extra bonus room. Laundry closet by 2nd bedroom, freshly painted TWO car garage with storage cabinets and new garage door in 2017, A/C in 2017, Water Heater 2003, All Appliances 2011. Beautiful pool with lake views on the same street. Lifestyle at The Meadows offers multiple social calendars full of events and gatherings. Optional: Social/Fitness/Golf/Tennis Memberships, a la carte. 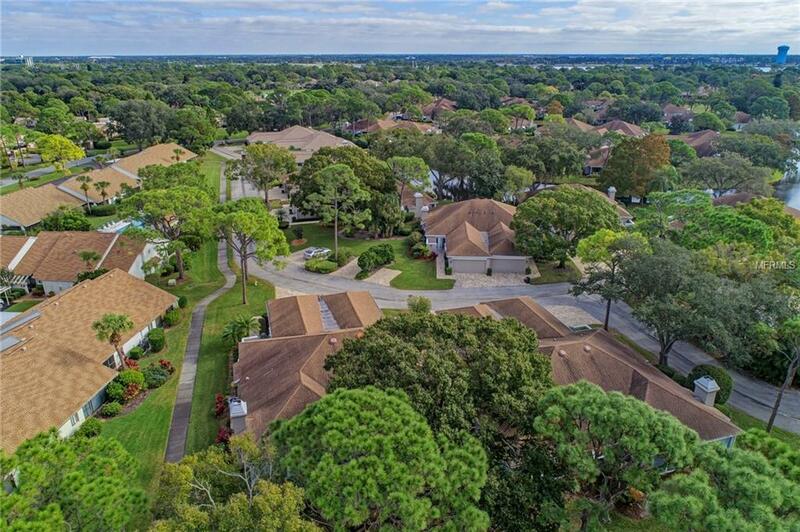 Spacious 1,650 Acres Community, Walking/Biking Trails in the Preserve and around the Lakes, our very own Community Center, Italian Restaurant, PUB with great food and entertainment, Message, Hair Salon, Bank and more on site. Only 2 Miles to Benderson Rowing Park and the New UTC Mall and Restaurants (Brio, Seasons 52, The Cheese Cake Factory, The Capital Grille, Starbucks). Only 7 miles to Downtown Cinemas, Art Studios, Opera, Theaters and many Restaurant. 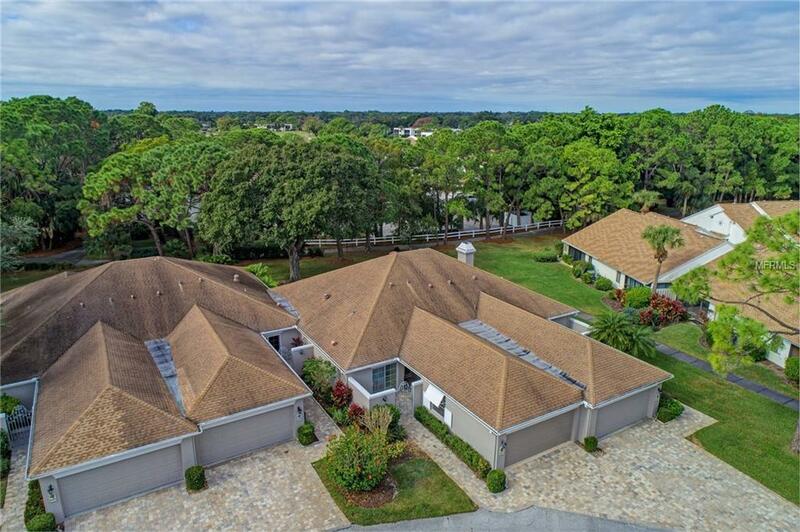 Only 8 miles to St. Armands Bridge leading to Lido Beach and Longboat Key. Only 9 Miles to the Bridge to Siesta Key Beach. Bring us an offer!